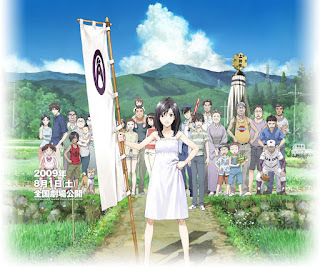 How can one place Summer Wars? Think of a movie that allows elements of a hacking nerd vs a huge virus, with a sprinkling of romance and plenty of a motley family naturally imbibed with lots of quirks. I guess that you have elements of The Royal Tenenbaums mixed with some Ghost in the Shell to make one of the finest anime ever made, I kid not. Kenji is a super maths nerdy wizard who gets roped into impersonating his crush’ boyfriend and gets dragged to meet her great grandmother for her 90th birthday. Along the way, he meets all the quirky members of her extended family, each with their own hang-ups, and foibles, some small and others larger than you expect. In his spare time, he manages part of a virtual world known as Oz, and he inadvertently helps to facilitate the spread of a AI program which threatens to take down the entire internet, and send a wayward asteroid probe on top of the family home.